Adalimumab (Humira) bagged approval from US Food and Drug Administration as the first biologic treatment for chronic non-infectious anterior uveitis in pediatric patients ≥2 years old who have had an inadequate response to conventional therapy, announced AbbVie pharmaceuticals. Adalimumab is a fully human anti-tumor necrosis factor-alpha (TNF-alpha) monoclonal antibody. The drug was initially used for years in rheumatoid arthritis and other autoimmune disorders and gained European approval in May 2016 for use in noninfectious intermediate and posterior uveitis and panuveitis in adult patients who cannot be treated effectively with corticosteroids. It received similar approval in adults in June 2016 from the U.S. Food and Drug Administration (FDA). The approval was based on data from a randomized, double-masked, placebo-controlled study of 90 pediatric patients aged 2 to <18 years with active JIA-associated non-infectious uveitis. The study participants received either placebo (N=30) or adalimumab (N=60) 20mg (if <30kg) or 40mg (if ≥30kg) every other week in combination with a dose of methotrexate. Patients continued the trial regimen until treatment failure or until 18 months had elapsed. The researchers followed them for up to 2 years, including 6 months off the study drug. The primary endpoint was “time to treatment failure,” defined as worsening or sustained non-improvement in ocular inflammation or worsening of ocular co-morbidities. The study found that adalimumab significantly decreased the risk of treatment failure by 75% relative to placebo. Patients taking adalimumab experienced 10.7 adverse events per patient-year, compared with 6.51 for patients taking the placebo. “These results demonstrate adalimumab has the potential to help many children who have failed standard treatments,” said Dr. Athimalaipet Ramanan, a pediatric rheumatologist at University Hospitals Bristol NHS Trust. The recommended dose of Humira for patients ≥2 years old with pediatric uveitis is based on weight; the treatment has not been studied in patients <2 years of age or in those with a weight <10kg. Moreover, besides uveitis, Humira, a tumor necrosis factor (TNF) blocker, is also approved to treat pediatric patients with juvenile idiopathic arthritis and Crohn’s disease. 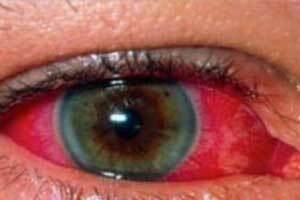 Uveitis is an inflammation of the uvea, which includes the iris, choroid and the ciliary body in the eye. If left untreated, it can lead to vision loss, including cataracts, glaucoma, and cystoid macular edema.